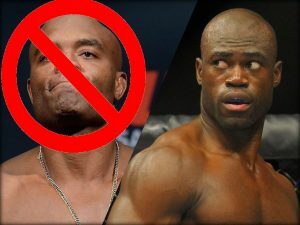 Former longtime UFC middleweight champion Anderson “The Spider” Silva (33-7) is out of this weekend’s UFC 198 bout against Uriah Hall (12-6). Anderson Silva is out of his UFC 198 middleweight bout with Uriah Hall. Silva’s doctor Marcio Tannure told MMAFighting that the former champion will undergo surgery this morning to remove his gall bladder. Silva was expected to fly from Rio de Janeiro to Curitiba on Tuesday morning, but was rushed to the hospital four hours before his team was supposed to leave. According to the boxing coach, Silva was only five pounds away from making weight for UFC 198 and excited to be fighting in Curitiba for the first time in more than a decade. Silva is the UFC’s number five ranked middleweight. “Primetime” Hall is currently sitting at the number 10 spot. No replacement has been named to compete against Hall as of press time. It is possible that the fight be pushed back as Silva is expected to be able to begin training again in four to six weeks.